It’s true, Lent can often seem like an empty ritual. But what Aaron Damiani came to find, and what he describes inside, is something else entirely. Something exceedingly good. Lent has been described as a “springtime for the soul,” a season of clearing to make room for growth. 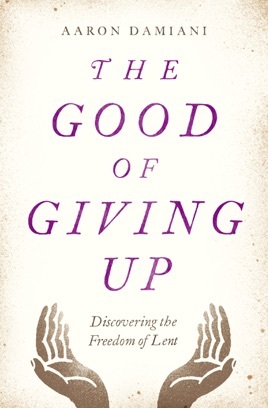 The Good of Giving Up will show you why, encouraging you to participate in what many know as a rich spiritual journey.